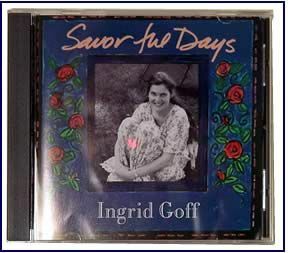 Savor the Days is a soothing, transporting and refreshing album. With nine originals and one cover, a Sarah Teasdale poem called "Life has loveliness to sell," this album is some of that loveliness. Recorded on Martha's Vineyard with the support of talented musicians David Steinberg, Nancy Jephcote and Jim Parr, this album is a timeless classic you'll listen to again and again.